It is that time of year again. Your gift list is growing, and you’re wondering what to get your family and friends for the holidays—these special gifts to express how much you care. Before you reflexively jump online or join the madness at the mall, consider the reasons for shopping at local businesses. Shopping local has many more benefits than you may be aware of. And, if done locally, holiday shopping can be a pleasure instead of a chore. Shop Local! That’s a message you’ve likely heard before. And supporting local businesses has become increasingly popular thanks in part to the impact of Small Business Saturday. Since 2010, Small Business Saturday has been the name given to the Saturday after Thanksgiving. It’s a way to celebrate and support small businesses during that blockbuster retail weekend. Originally sponsored by American Express, Small Business Saturday has grown into a nationally recognized day, almost as popular as Black Friday and Cyber Monday. There’s also Giving Tuesday and Sofa Sunday …. But we’re getting off track here. Now with almost 3.5 million likes on Facebook and 56.7 thousand followers on Twitter, this special day highlights the importance of supporting small business. But Small Business Saturday isn’t the only day to support these businesses. You can show your support by shopping in locally owned small brick and mortar stores all through the holiday season. Here are some reasons you should. Love thy neighbor this holiday season. And local stores are owned by your neighbors and friends. When you shop small and local, you’re supporting them. Your money is paying for groceries and providing for a family that owns the small business—paying for things like piano lessons for the owner’s son. It’s supporting local nonprofits. Local businesses are more likely to donate to community causes than chain stores. Because local storeowners are also more likely to shop local themselves, the money from your purchase has a multiplier effect. Remember your dollar also has more local impact—and benefit to you—when you shop locally. The money you spend at a local store on that scarf for Aunt Susie goes to a local shop owner and back into your community—rather than adding to the bottom line of a national big box company or e-commerce giant. Fun fact: For every $100 spent at a locally owned small business, $68 returns to the community in some form. Local merchants are part of that community as are their employees. They’re paying local taxes just like you. That’s why local shopping returns three times more to the community than purchases at chain stores. The money you spend on Aunt Susie’s scarf has a bigger impact than you think! Shopping local is good for the country. When you shop local, you’re supporting American goods and fair trade laws. 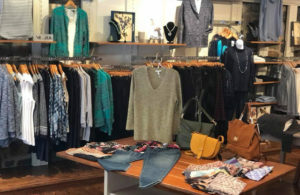 For example, Karen Cavin of The 5 Senses in West Chester says all her store’s merchandise is handmade in North America along with some Fair Trade, which guarantees fair living wages for the artists. By selling American goods, local businesses help keep Americans working. The money you’re spending is staying in this country, and you can feel good that your gifts were made by people who were paid and treated fairly. Cavin adds, “We can also tell you how things are made. We know exactly where they came from and who made them.” You get a little history and an interesting story with each purchase, making the gift more personal. 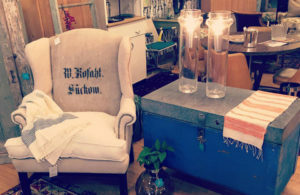 Old Soul Décor’s Krystal Rhinehard says her customers want organic, non-toxic, locally made and fair trade goods. Customers can rest assured they’re buying products that are made from quality ingredients at her store and can get that fact verified. Shopping local is also greener. There’s less outsourcing, which results in less fossil fuel use and packaging waste. Not only is going local better for the country, it’s better for the world. Shopping local also creates a sense of community. Margaret Smith of the Wilmington Country Store says they’ve been helping customers shop for generations—since opening in 1952—and offering personalized service to each customer and their family members. Local shops are where customers visit for the holidays, making these community stores meeting spots to see old friends and neighbors. Most shops are decked out with decorations to get you into that holiday spirit to make shopping more fun. 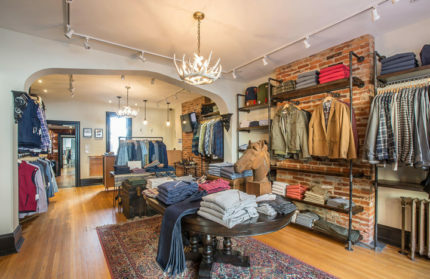 And if decorations aren’t enough to spark some holiday spirit, many shops, like Phineas Gage men’s clothing store in West Chester, host open houses during the season and for special events like the annual Christmas Parade. Stores serve wine, hot drinks and refreshments when customers stop in, say hello and celebrate the season. Another plus to improve your shopping experience. There’s that extra personal touch that comes with a local gift. You took time to think about the recipient, considered options and found that special gift rather than scrolling through Amazon’s top picks. Local gifts also tend to be unique, so your gift will stand out. 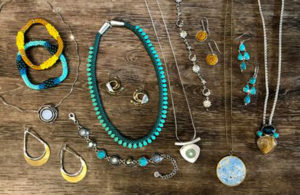 Karen Cavin of The 5 Senses says, “The things we sell can’t be found anywhere else!” Local stores are filled with one-of-a-kind gifts, like handcrafted jewelry and pottery from local artisans. And if convenient shipping is the draw to online shopping, know that most local stores will send packages for you. Shopping locally for your out-of-area family or friends is easy. Aside from shipping, many local shops have services online stores can’t provide—like onsite seamstresses and customized free gift-wrapping that can add that extra personal touch to any gift. You matter more at local stores, and their personal customer service proves it. Not only will you likely see shorter lines, but sales associates in local shops are more attentive and knowledgeable. They know their store’s curated inventory and know regular customers’ preferences, and maybe even their names. They give you the kind of attention chain stores simply can’t. Studies show customer satisfaction is higher among local shoppers. In a brick and mortar store, you can see and feel the gift to know exactly what you’re buying. This is much better than ordering online, staring at the screen, scrolling through hundreds of reviews and hoping for the best. Local shops also choose their merchandise to suit their local customers. Margaret Smith of the Wilmington Country Store says that as a buyer, she shops with her customers in mind and knows what they like and can’t find online. When you’re choosing where to shop this holiday season, consider small local brick and mortar stores in our area. You can make a fun day of it. Start with a meal at a local restaurant and know you’re supporting your community and choosing personal gifts for those you love. Spread that holiday cheer and shop local this year! For more ideas for shopping local, check out our Holiday Window Shopping and Holiday Style sections in this issue.